And I replied with “I know from personal knowledge many adoptees DO share my issues.” I don’t understanding why society is so blinded about the realities of adoption. 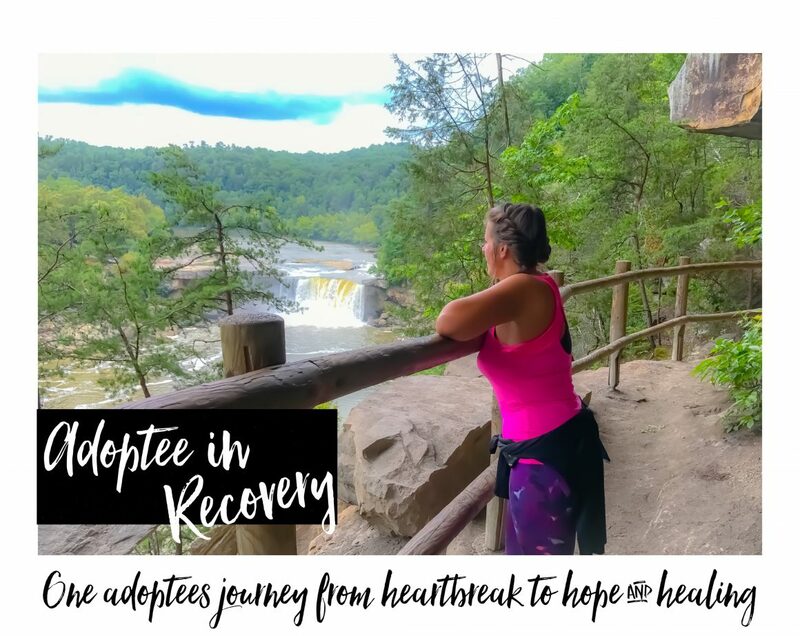 My adoptee issues and pain are very real and I will continue to always share my feelings with the world to help raise awareness on how it feels to be adopted. I really believe that all the adoptees with a voice need to keep voicing their experience so that any adoptive parents that stumble across their blogs, or tweets, or Facebook pages can truly open their hearts up and learn something. It’s the AP’s such as the one above that are blinded and don’t see REALITY who are not going to learn and benefit from the adoptees who have been in the shoes of the very ones they are raising. Even if they don’t agree with what they are hearing about how it feels to be adopted, they should really open their heart and eyes and ears up to the fact that, WOW, MY ADOPTED CHILD COULD FEEL THIS WAY. Not, “I know for certain many adoptees don’t feel the way you do” With an attitude like that there will be no hope for future adoptees and for society to understand there is much more to adoption than 2 people completing their family by adopting an unwanted, abandoned child. The reality of adoption is that before a child is adopted their own mother gives them away. However this is explained to the child leaves the child confused. After all, how does one love something and give it away? This can very well lead to low self-esteem, abandonment & rejection issues and fear issues that everyone is going to leave them. These issues are ALL root causes of many types of dysfunctional behaviors and adoptees have a very large chance of facing any of these root causes. Weather any adoptive parents want to admit it or not. I think the real question should be, “How do I help understand my adoptive child better?” VS. “I know from personal experience many adoptees don’t feel like you do”. Open your eyes and ears, and be receptive to what adoptees have to say, especially if you have invested in adopted children. Of all people you should have an open heart and mind. You can learn a lot from someone who has been in your child’s shoes. Especially those who have healed from the trauma that being given up for adoption by their own mother. Previous What I Wished My Birth Mother Wrote To Me. Next Lies Are Never Okay, Everyone Deserves To Know Where They Come From.. I tell people frequently, “I was fine…until I wasn't”. I also recently commented on someone's Facebook post, if you give me 30 minutes with someone who is “fine” I can push enough buttons to make them want to pummel me…or completely fall to pieces. Amen. Bless you! People who don't know what the pain is if they haven't walked in our steps . It hurts I am 50 years old and my adopted mum has hurt me more now then all the beatings, verbal abuse and turmoil of my childhood. Some have more faults then they want to admit. What better way to stomp on someone's trauma! I think the real question should be, “How do I help understand my adoptive child better?” VS. “I know from personal experience many adoptees don’t feel like you do”.